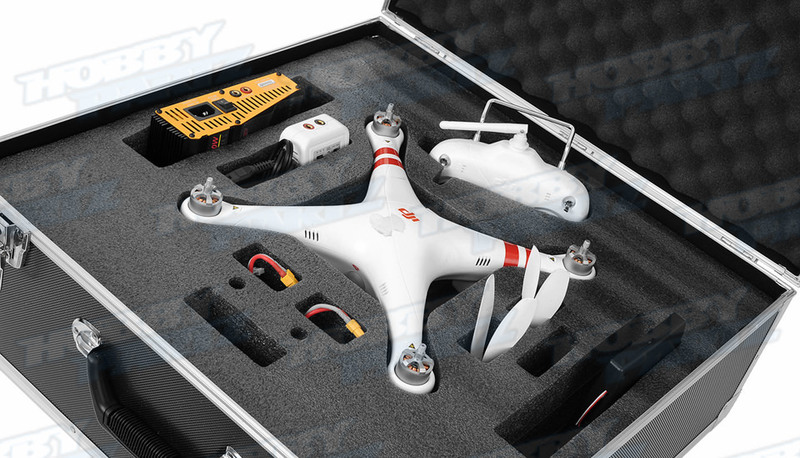 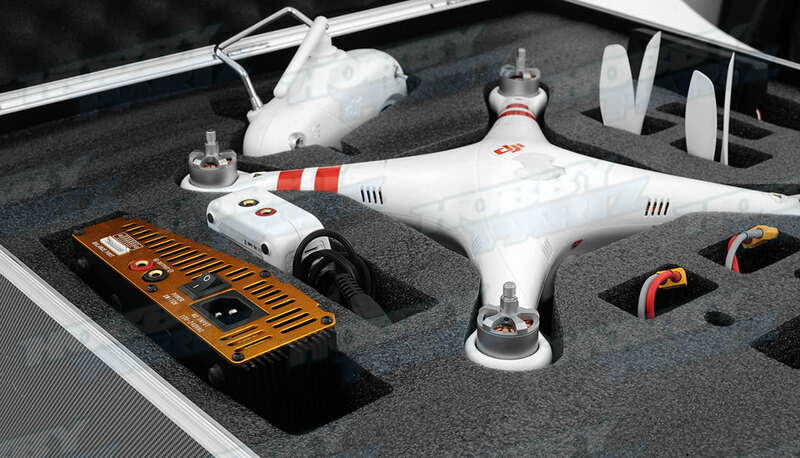 This case fits 350 sized quadcopter such as the DJI Phantom 2. 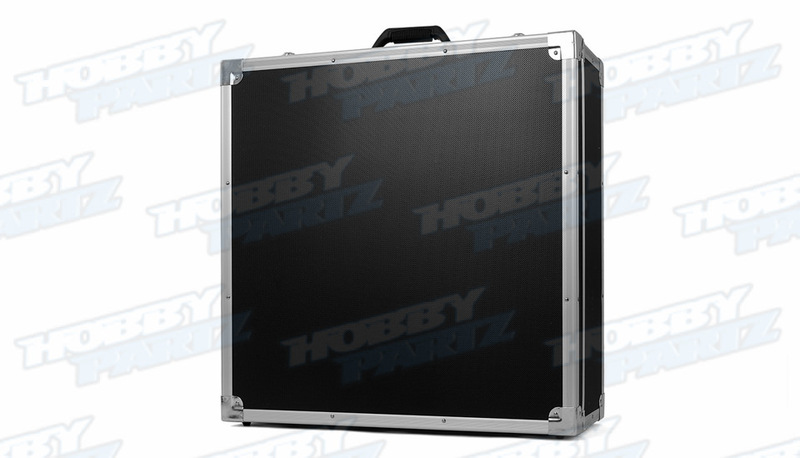 It is a large case with protective foam layers and cutouts for storage. 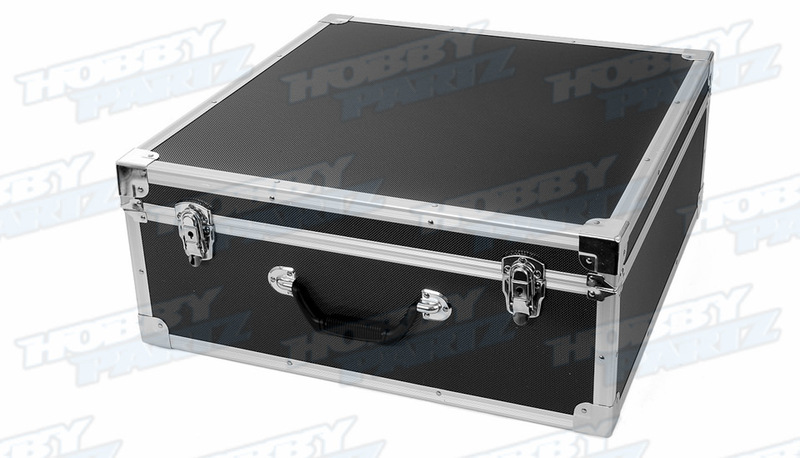 This hard shell travel case has a lot of storage room inside. 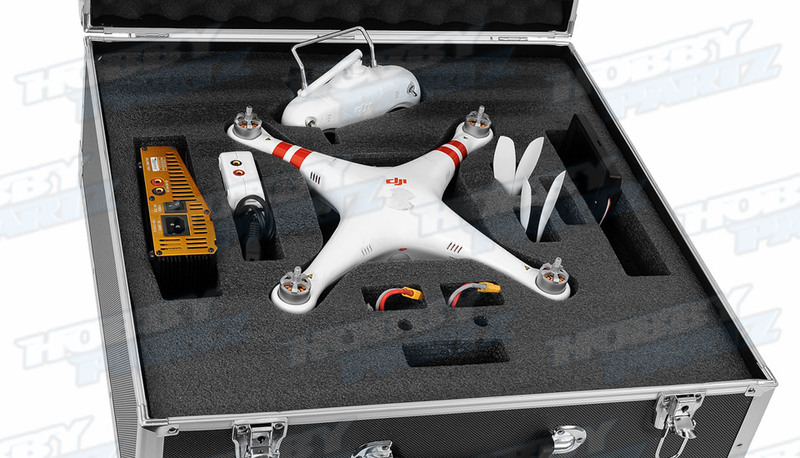 The pre-cut foam fits your 350 sized quad, batteries, the transmitter, and your battery charger. 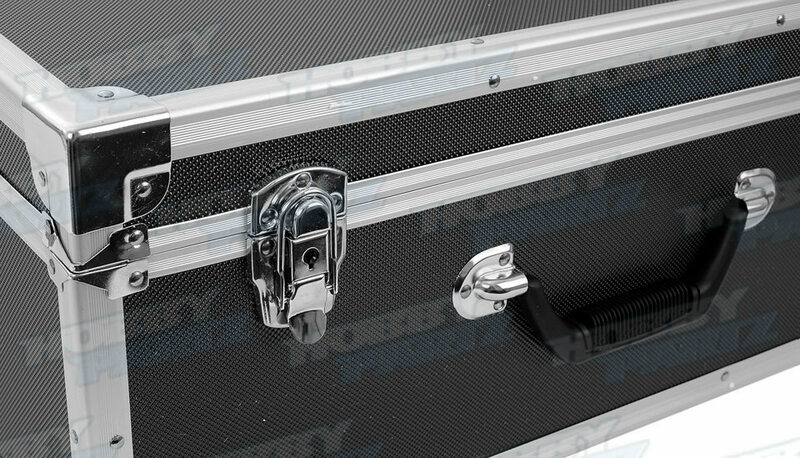 There are some smaller compartments for your camera and camera accessories. 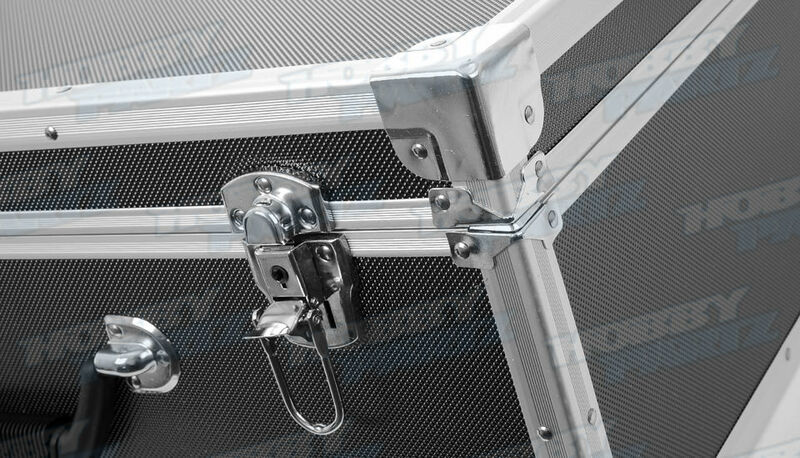 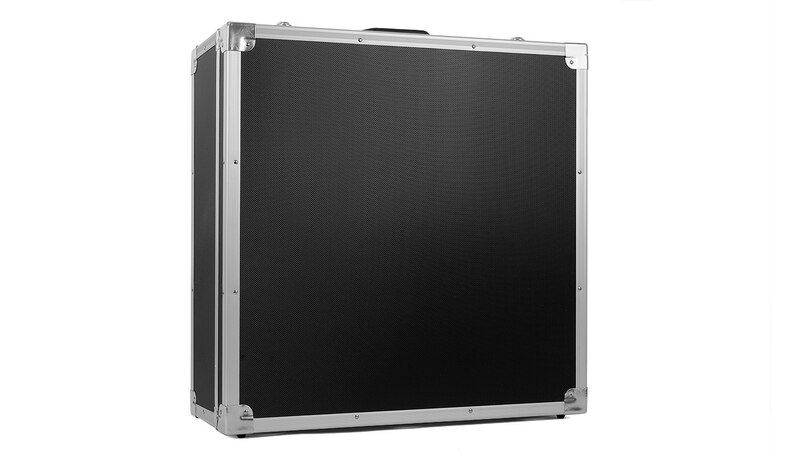 The case construction is made out of a durable aluminum outer shell and panels which is resistant to impact.